The Keep-It Cool cooling bag in the Rig-Tig series by Stelton is designed as a shoulder bag. This makes it the perfect companion to take along - whether for snacks and soft drinks to the picnic on the beach or in the park, for the six pack to the music festival or simply for food shopping. The cooling bag is made from wear-resistant nylon. Inside, a heating film ensures to keep contents cool. After use it is easy to clean with a cloth that’s been soaked in soapy water and wrung out again. The flexible material helps to easily fold the bag so that the storage takes up very little space. The Keep-It Cool series includes a matching lunch box and water bottle. 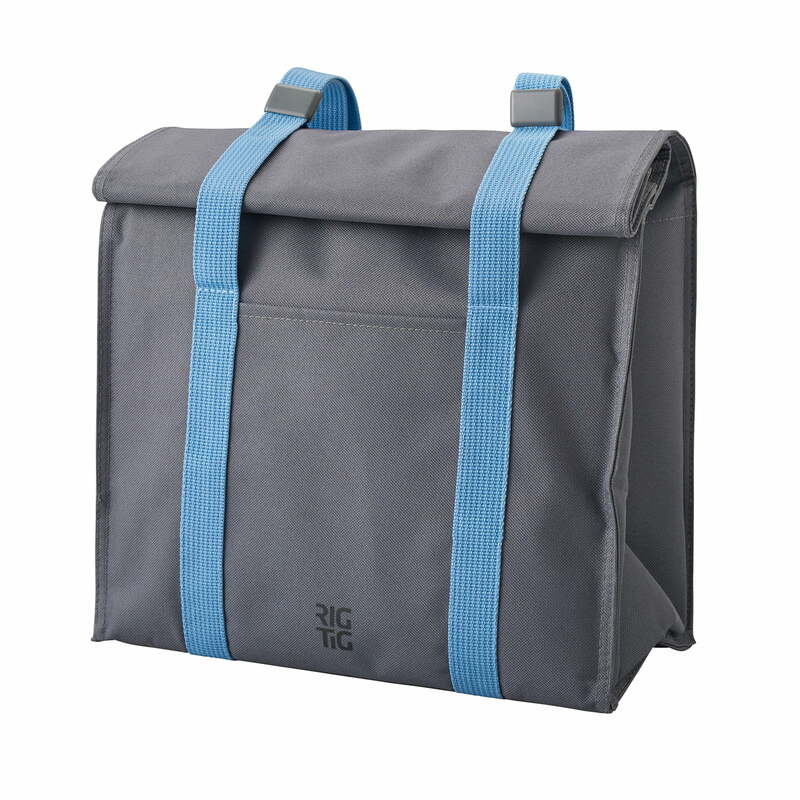 Product view of the Keep-It Cool cooling bag in grey and blue from the Rig-Tig series by Stelton. Being a shoulder bag, this makes it the perfect companion for on the go.